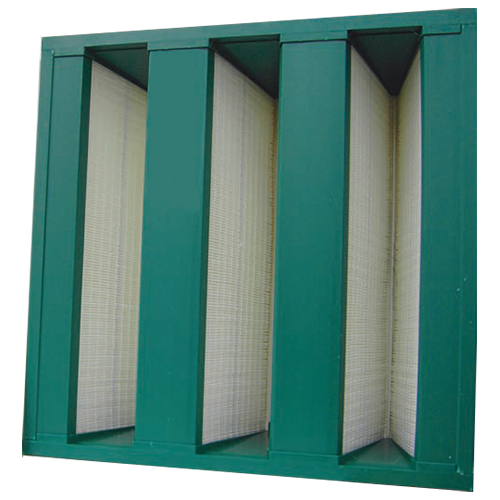 A high airflow capacity filter for use in general air conditioning systems where space is restricted or a rigid filter construction is required to combat turbulence, variable air volume conditions or vibrations.They will operate unaffected by fan shut down or start up. 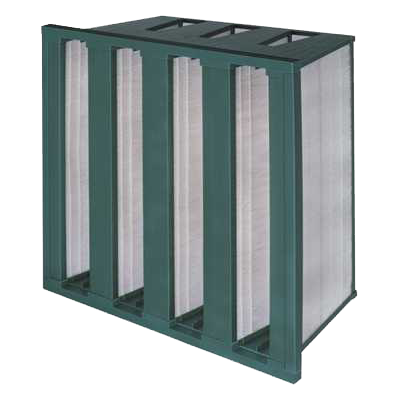 A low pressure drop filter giving maximum economy and extremely long service life. Manufactured from either non fibre shedding glass fibre paper or Polypropylene synthetic media, the filter packs are mini pleated with the pleats separated by thermoplastic beads.The filter packs are then sealed into a Polystyrene case with Polyurethane sealant. Available in a range of standard sizes and grades, please contact us for full details.